No. IQOS is not a smoking cessation device or intended as a device to quit smoking. If you are concerned about the health effects of smoking, your best option is to quit tobacco use altogether. IQOS generates a nicotine containing tobacco vapour with on average 90% lower levels of harmful chemicals compared to cigarette smoke. Can I use cigarettes with IQOS device? No you should not. IQOS device has been designed to work exclusively with tobacco sticks, and vice versa. It is only by using both together that you can take full advantage of the benefits that the system provides and that have been proven by PMI science. All our studies are based on the use of IQOS with tobacco sticks. No. IQOS is not risk free. Although the level of harmful chemicals generated by IQOS are reduced by 90% on average, there are still some harmful chemicals. Moreover, tobacco sticks contain nicotine, which is addictive. If I have any further questions, who should I contact? IQOS Holder and Pocket Charger are safe, as electronic devices, when used in accordance with the instructions in the Quick Start Guide. For more details refer to the User Guide. They both comply with EU consumer electronic safety requirements indicated by the “CE" (European Conformity) symbols on the packaging. Keep IQOS away from water, direct sunlight and/or heat. Do not leave IQOS device for extended period of time in a hot place, such as inside a car, as the battery or electronics may be damaged or significantly deteriorated. Should I always fully charge my Pocket Charger battery? The IQOS 3 device does not require a full charge to work. 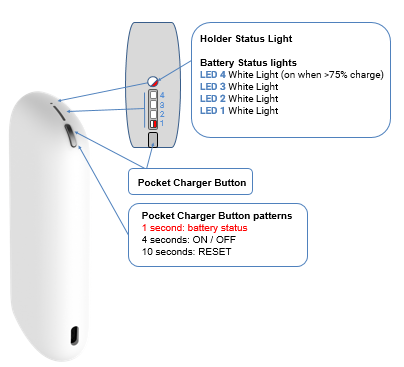 If the IQOS 3 Pocket Charger is fully charged you may use the holder up to 20 times. Can I charge 2.4 / 2.4P Holder with the IQOS 3 Pocket Charger and vice versa? No, the new IQOS 3 Pocket Charger is not compatible with the previous versions. If you insert the 2.4/2.4 Plus Holder into the IQOS 3 Pocket Charger, the Holder will not charge because of the different size. 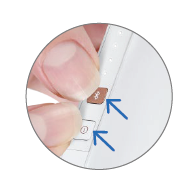 The IQOS 3 Holder cannot be inserted into 2.4 /2.4 Plus Pocket Charger because of the different size. 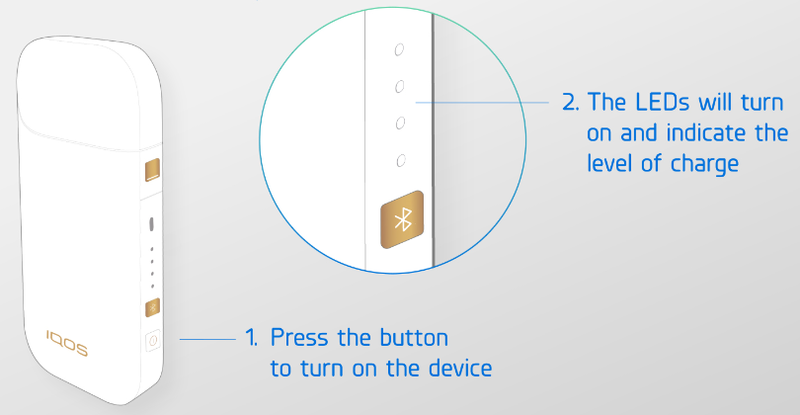 You can easily reset your IQOS 3 device by pressing and holding the Pocket Charger Button for 8 seconds and then releasing. Battery Status light will fade in, blink twice, and then progressively fade in to confirm a reset. What do device vibrations mean? What do the lights on my Holder mean? 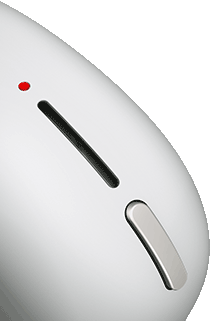 Any white light indicates that the IQOS 3 device performs various operations, like charging, resetting, OR is ready to use, fully charged etc. What do the lights on my Pocket Charger mean? Any white light indicates that the device performs various operations, like charging, re-initialization, ready to use, fully charged etc. • Only Bottom Charger Light indicator: the device is outside operating temperature (0 - 50°C). -> Wait until device is within temperature limits. What is the optimal IQOS device functioning temperature? IQOS 3 is designed to work in a wide range of temperatures, but tobacco sticks taste best when the device is used between 10℃ and 50℃. The IQOS 3 Multi device does not require a full charge to work. If the device is fully charged you may use it up to 10 back-to-back sessions without recharging. Any red light indicates that there is a device error or device operates outside its operating temperature (0 - 50°C). What does the red light on my Holder mean? d. If none of the above works, perform a reset of your device (see how to here: IQOS 2.4 PLUS ). What does the red light on my Pocket Charger mean? a. 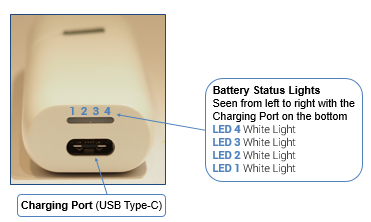 Holder light on the IQOS 2.4 Plus Pocket Charger indicates a Holder malfunction. A slowly pulsing red light while charging means that the Holder battery is reaching the end of its life cycle. Please, perform a reset of your device (see how to here: IQOS 2.4 PLUS ), and make sure it is in the optimal temperature range. IQOS 2.4 Plus is designed to work in a wide range of temperatures, but tobacco stick tastes best when the device is used between 10℃ and 40℃. It takes approximately 90 minutes to fully charge the IQOS 2.4 device from an electrical outlet. Only charge IQOS 2.4 device using the supplied AC Power Adaptor and USB cable. The IQOS 2.4 Pocket Charger does not require a full charge to work. If the pocket charger is fully charged you may use the Holder up to 20 times. How can I reset my IQOS 2.4 device? You can easily reset your IQOS 2.4 device by simultaneously pressing for 3 seconds the Holder Heater Blade Cleaning and Power buttons until all lights briefly blink. b. Place the Holder in the IQOS 2.4 Pocket Charger and wait until it is fully charged (up to 5 minutes). IQOS 2.4 is designed to work in a wide range of temperatures, but tobacco stick tastes best when the device is used between 10℃ and 40℃. What is the puffing time tobacco stick? Tobacco sticks are designed for the same duration and number of puffs as cigarettes. Why are tobacco sticks shorter than cigarettes? The tobacco sticks are designed specifically for the IQOS devices. They have an optimal length, diameter and design for the IQOS Holder. Why do tobacco sticks taste different from my usual cigarettes? The taste of IQOS is different from cigarettes because tobacco is heated rather than burned. Do tobacco sticks contain nicotine? Yes, tobacco sticks contain nicotine, which is addictive. Nicotine is naturally present in the tobacco used in the tobacco sticks. 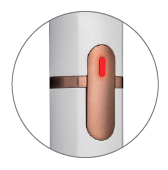 It is released in the vapor that is generated during the IQOS usage. What is the composition of the tobacco stick? If you experience difficulty inserting tobacco stick, check if the tobacco portion from a previous tobacco sticks stuck in the Cap. 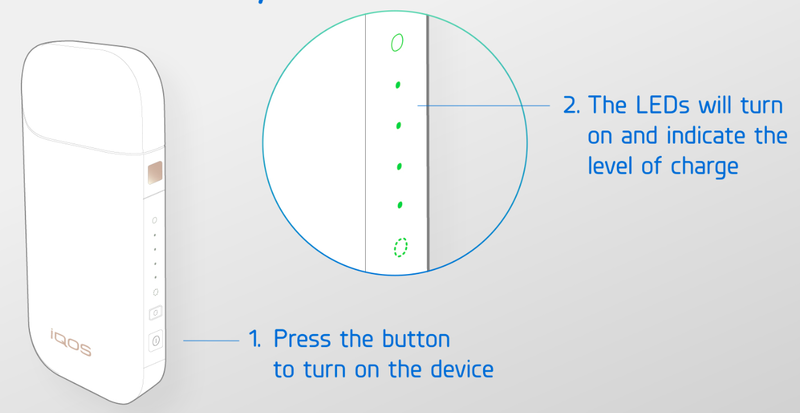 Then, using the Pin (1) from the IQOS Cleaner, push the tobacco portion out as shown below (2 & 3). How can I enroll in the personalized assistance program? Who can enroll in this program? To join, you must be a legal-age smoker who would like to continue enjoying tobacco products and switch from cigarettes to IQOS. That’s it! Why and how do I register? You create an account by using Nem-ID and fill in your personal data. Nem-ID is purely to ensure that you are above 18 years old. How do I get the latest news and promotions? By signing up for our newsletters and other communication regarding IQOS you will receive latest news and promotions before others. Tick the box under Communication in your profile to accept. You will also be able to unsubscribe if you no longer wish to receive information from us. Do I need to register to purchase on iqos.dk? Why do I have to use my Nem-ID to register? Nem-ID is for us to ensure that you are above 18 years old. Data is not saved and only used for age verification. If don't find the confirmation email in my inbox, what do I do? You will receive your order within 1-2 business days. If you are living in Bornholm, Læsø and Anholt you should expect 1 day extra. If you order before 14.30 you will most likely have your order delivered within 1 day. If you order after 14.30 you will most likely have your order delivered within 2 days. We are not shipping outside Denmark. What delivery options do I have? Customer Care will help you with any query you may have regarding incomplete, incorrect or damaged items and orders. I wrote a wrong delivery address in my order, can I change it? You are not able to change it yourself, but please get in contact with Customer Care as soon as possible, and we will try to help. Due to fast deliveries, we might not be able to change it before order is shipped. I chose a wrong delivery option in my order, can I change it? Can I return my ordered items? You can return your items within 14 days after the delivery of your order, without any delivery fees. Please note that only undamaged, unused products can be returned. After communicating your desire to return an item, IQOS Support will send you a “free of charge” return label by e-mail or post. You should send the product in the original packaging back to the address on the return label. Once we receive the returned items, we will inspect and process the goods to ensure you receive your reimbursement as quickly as possible. The reimbursement will be issued to the original method of purchase. You can return your items at any GLS service point near you.